Apple’s Macintosh is making a huge wave in the technological world today. People are switching from other platforms to the Mac systems. The popularity of Apple devices is soaring amongst the users in this world and the best Mac products are soaring also in terms of sales. Aside from the prestigious brand name and image, people using Apple products finds great music and audio devices in which they can listen to their favorite songs and artists, watch their favorite videos and even communicating and social networking in their Mac based devices. As technology progresses, the features, interfaces, capacity, speed and capabilities of Apple devices also changes for the benefit of the users. However, the price of these devices also increases as more significant and high-end technology features are introduced. If you want to watch new and classic movies in 1080p or in High Definition, try watching in Apple TV. If you have account in Netflix, Hulu Plus, Amazon Instant Video, Vimeo, YouTube and many more, you can use them in this stunning Apple TV. Also, you can play wirelessly to this Apple TV through connecting your best Mac products like iPhones and iPads. 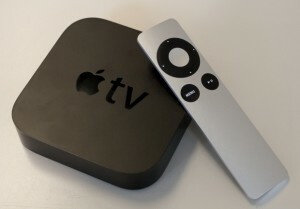 The Apple TV retails in the market for $99. 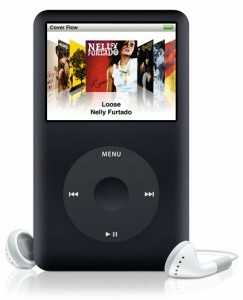 If you are into music listening on to go, inside your home or just anywhere, iPod Classic is your partner. Apple created the iPod classic. The iPod Classic has more capacity now with its 160 GB feature. It can hold up to 40,000 songs, or equivalent to 200 video hours as well as thousands of photos. If you are on the go, the iPod Classic can give you the entertainment you need for the whole day! Now, the iPod Classic has videos too and its simple and easy to navigate control panel gives it a more appealing design. If you are jogging, exercising on the gym, bicycling on the road or doing any activities, it is nice to have a music background. The iPod Shuffle can do the musical entertainment for you. This music player is literally small and lightweight and you can wear it around your neck or anywhere in your body by clipping it to your clothes. It is also colorful – choose from 8 colors. It has easy control panel and the ‘VoiceOver’ button and you can create your own playlist. 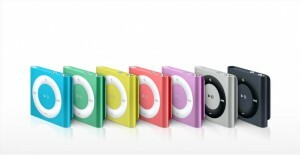 The iPod Shuffle retails for about $49 in the market. If you want touch screen device from Apple in which you can listen to your favorite songs, watch videos or even view images/photos without having to navigate using a control panel, iPod Nano is the right Mac device for you. This Apple product was revamped and the result was a sleek body design. The screen is 2.5 inches and has displays that are multi-touch. Just like any other Apple devices, this one has anodized aluminum as its design. It has Bluetooth connectivity and radio feature too. Do you need to connect to the Internet through Wi-Fi and to be entertained as well? iPod Touch can give you the entertainment you need – from listening to songs, watching videos, playing games and communication through social networking sites and VOIP. 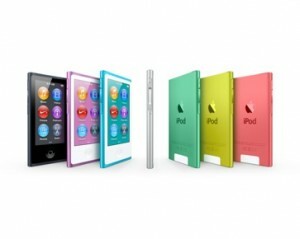 iPod Touch comes in variety of capacity and they can be connected over the Internet through Wi-Fi. 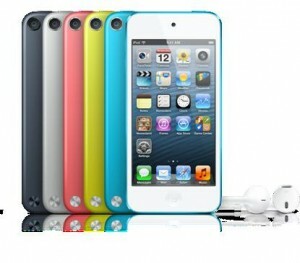 This device was re-designed and users can now enjoy vibrant colors with 4 inches of retina display and iOS 6. This device retails for $199 in the market today. 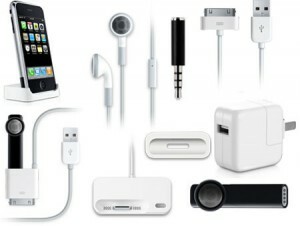 Of course, the Apple devices will need accessories that will work for them. You will need chargers cables, headphones, headsets, docks and other cables. Speakers, cases and power accessories are also included in this. You will need software to sync and configure your Mac/Apple device systems. This software is the iTunes. 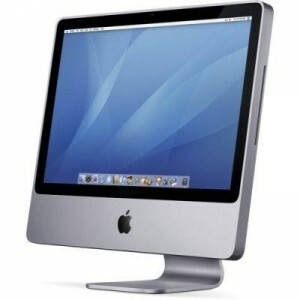 Through this program, you can do factory restore of your Mac products such as MacBook, Mac Pro, iPods, iPhone and iPad. You can subscribe and buy songs, videos, movies and apps here. 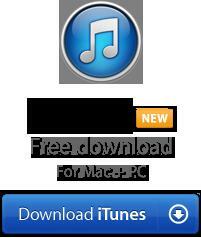 iTunes software is both compatible to PC and Mac platforms. Once you plug in your Mac device to your computer, iTunes will automatically sync it and if based on your configuration, it will also update the operating system of your Apple device. Tablets are making their way to the mainstream. Netbooks are being phased out because tablets nowadays can work similarly to most netbooks. 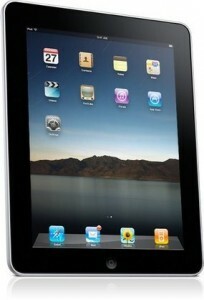 Apple has iPad and the latest product in this line is the iPad 3 and the iPad mini. In terms of entertainment, iPads can give you more than what iPod Touch can offer. It can connect to the Internet through Wi-Fi and if you subscribe to data plans to 3G. iPad comes in 8 GB, 16 GB and 32 GB. The cheapest iPad retails at $329 in most Apple stores. MacBook Air, MacBook Pro, Mac mini, iMac and Mac Pro – these are the lines of computers and laptops of Apple. Currently, the Mac runs on OS X Mountain Lion. Many people are switching from PC laptops to MacBook Air or Pro; however, in terms of number of sales and items sold, the PC still edges Apple. Mac are known to be lightweight and with sleek whitish design. You rarely see Mac laptops and computer in dark color. Of course, Mac goes with the flow when it comes to computer specs, but the higher the specs, the higher the price tag will be. 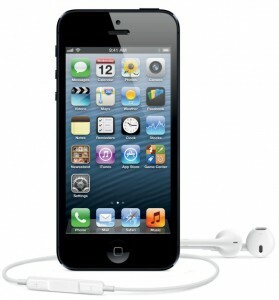 iPhones are one of the bestselling smartphones in the entire world. It competes with smartphone companies such as Samsung. However, the iPhone 5 (the latest model) has big letdown when it was released. Its own mapping application is way off compared to Google Maps. Of course, the prices of iPhone are soaring high. Some features in Android based smartphones are not present in iPhone like the NFC reader. Fortunately, iPhone 5 now are durable and sturdy compared to its predecessor as it can withstand drops.